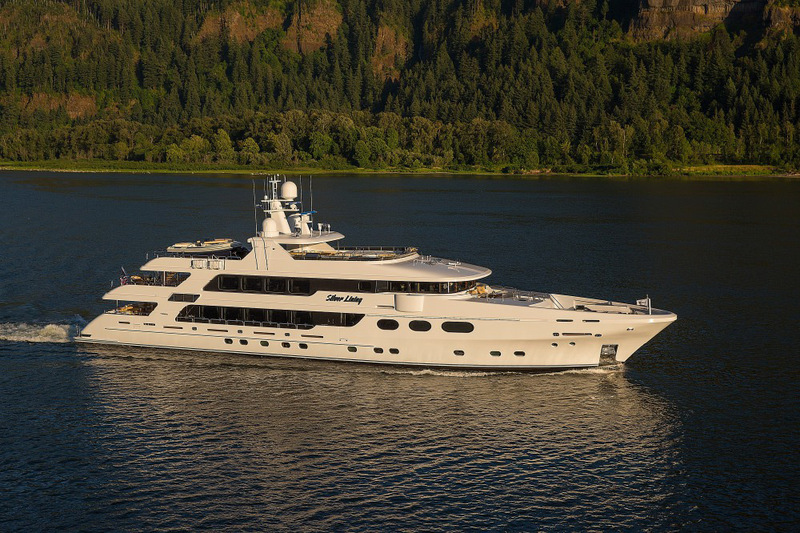 To break up the monotony of cloudy days American yacht builder Christensen Shipyards returned to the scene as a ray of sunshine with two very impressive 50-meter superyachts, one of which being called Silver Lining. 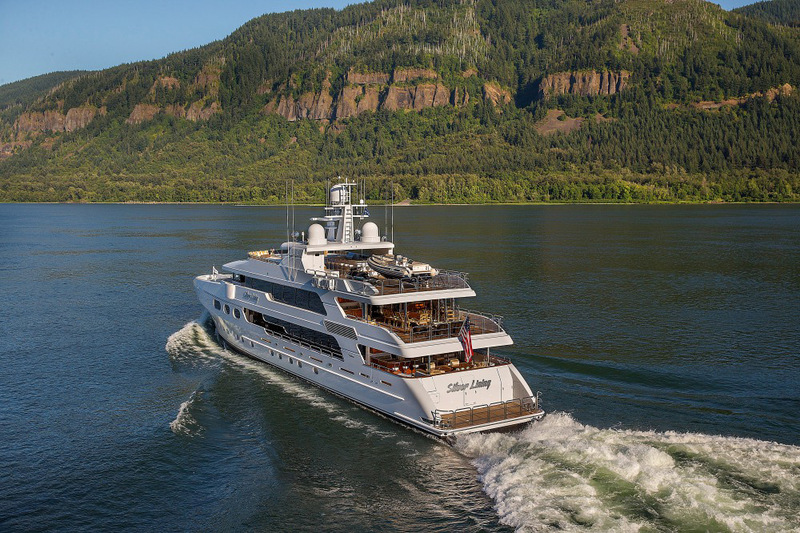 Completely designed, engineered and built in-house at the shipyard in Vancouver in the state of Washington, Silver Lining served as brand ambassador at last week’s Fort Lauderdale International Boat Show alongside her sister, Chasseur. 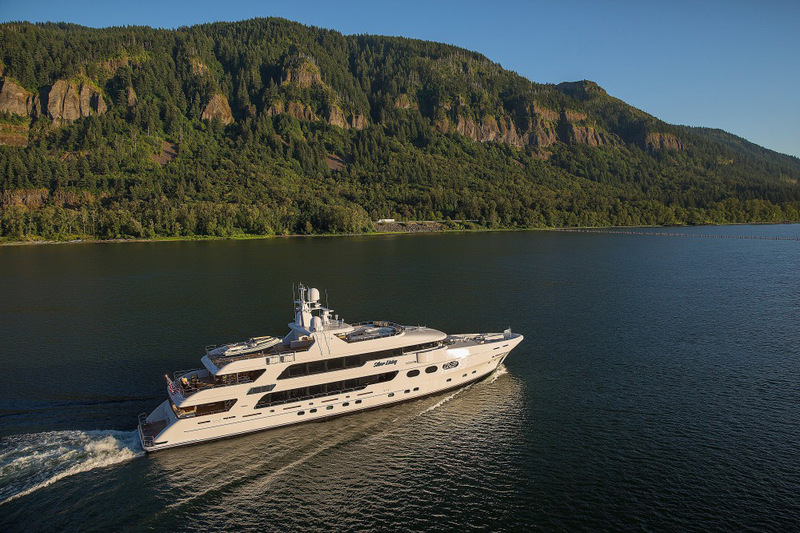 The Silver Lining yacht shows off that recognizable Christensen exterior look, but new structural changes to the proven 50-metre platform allowed them to further enlarge key guest spaces such as saloons and cabins to essentially deliver the shipyard’s largest yacht to date. 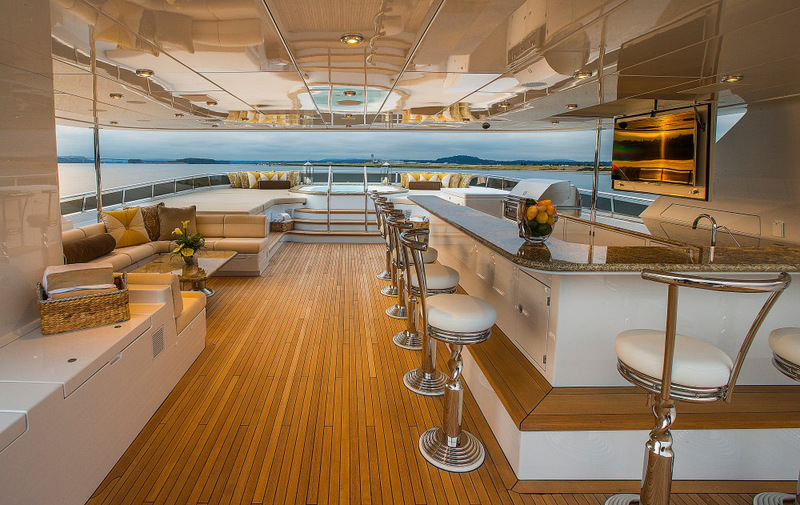 Christensen worked with the owner’s designer, Kimberley Graham on the styling of Silver Lining’s interior throughout. 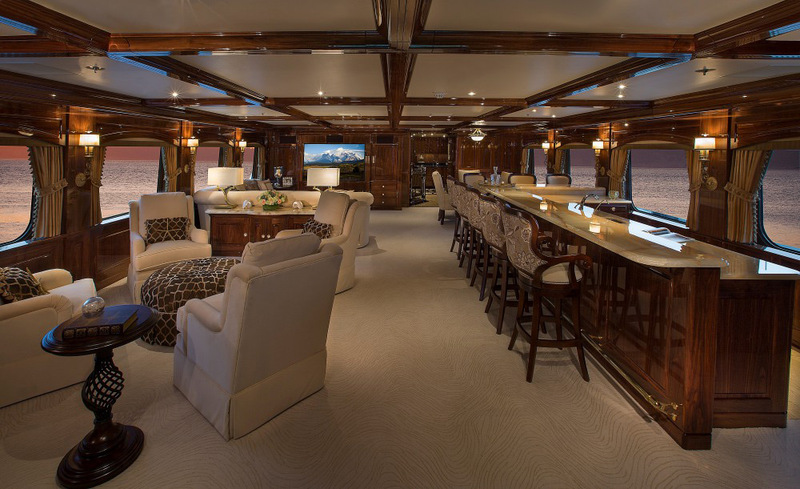 Traditional black walnut paneling and classical touches in the décor give the yacht a sense of grandeur and American upper class, and the upper deck in particular will prove to be totally mesmerizing, with intimate seating areas, a large bar, and a lovely dining area complemented by stunning views. 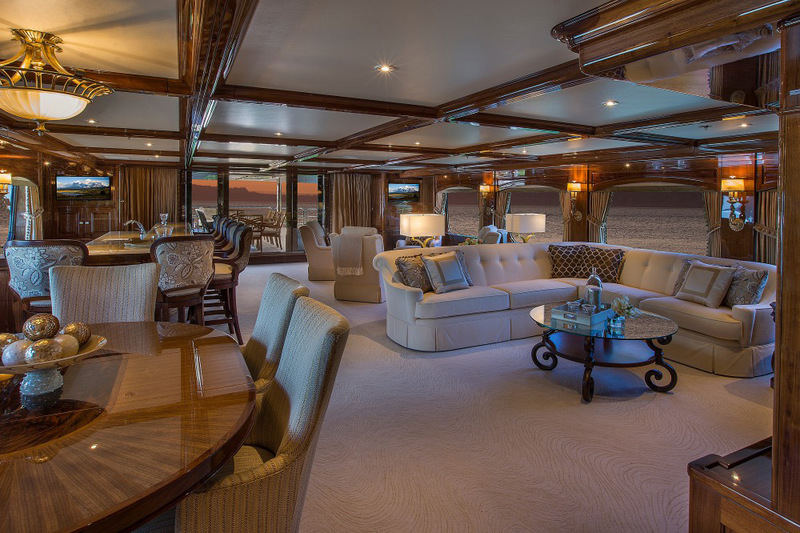 Silver Lining accommodates up to 12 guests across 6 staterooms. 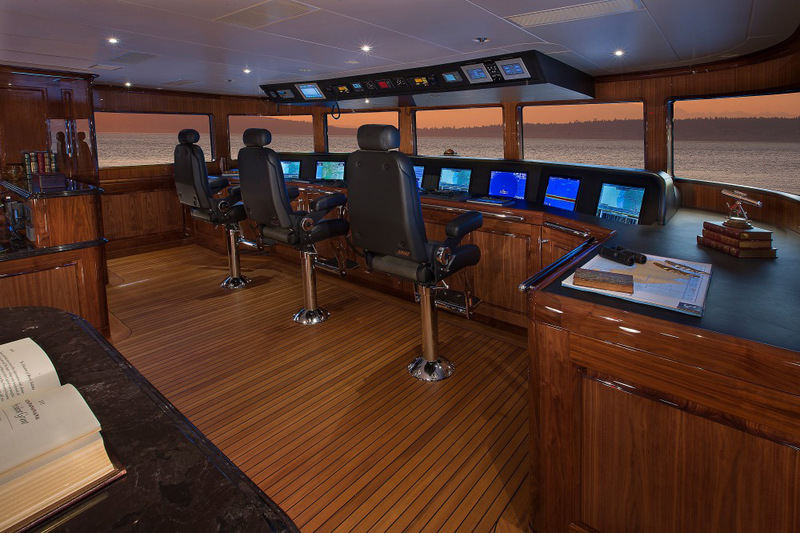 Her luxurious and very homely master suite takes up the traditional prized real estate forward on the main deck. 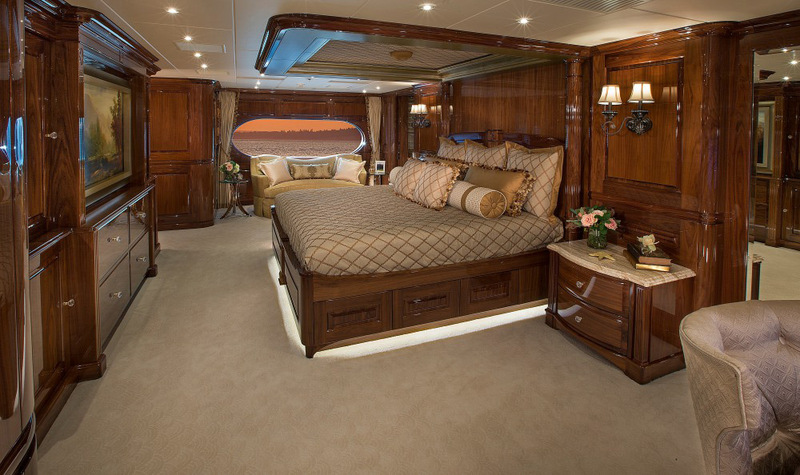 An oversized porthole on each side of the cabin provides exceptional views from the comfort of one’s bed. The en suite bathroom is a masterful display of stonework that gives the suite a real authentic feel. 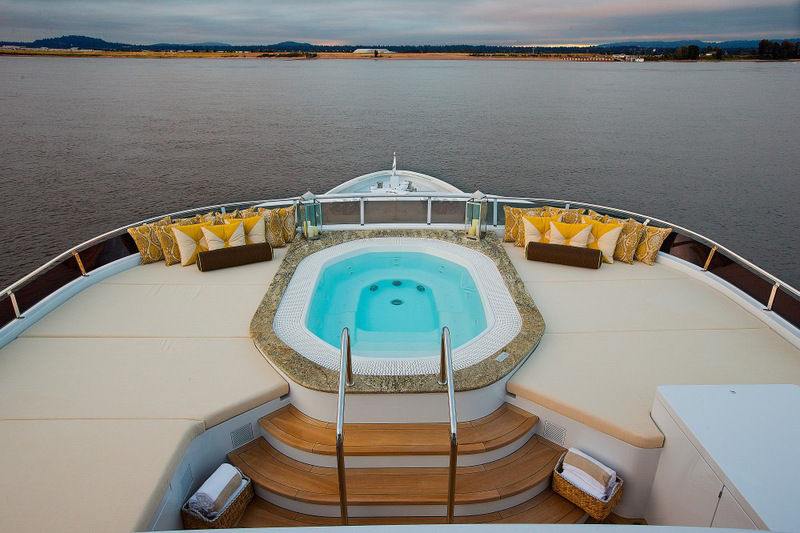 Five additional cabins, two VIP, a double, and two twins, are located on the lower deck for the owner’s family and friends. The amazing attention to detail involved in this project becomes obvious once you check out the sun deck, where a jacuzzi, surrounded by sun pads, makes this the perfect spot to sip on a cold, umbrella drink, hang out with your friends or family and take in the sun’s warm rays. By the way, Silver Lining is a vessel capable of reaching destinations 4,000 nm away, which means your cruise will be in no way cut short.